Dark green leaves with deep blue flowers, more mounding type than rooting along the stem. 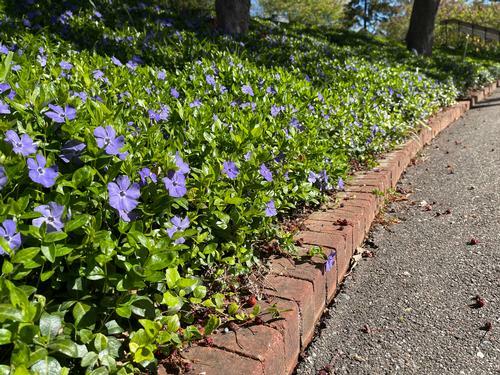 Short trailing ground cover that quickly forms a dense mat. Good for sun or shade. Very floriferous in spring.